Viableware, creators of the RAIL payment platform for full-service restaurants, has put the finishing touches on a mobile wallet plan involving some of the top mobile payments industry players. The full list of mobile payments industry partners will likely be announced in the coming weeks, but for now Viableware has revealed that its new m-wallet solution will be available for restaurants countrywide. The RAIL payment platform solution is already being piloted by a number of full-service restaurants in an effort to securely accept payments directly at the table. 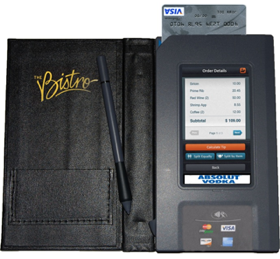 The solution uses handheld devices designed to mirror the look and feel of the standard leather bill folder— a mainstay at full-service restaurants. 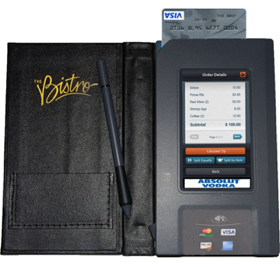 The RAIL devices can also split bills, calculate tips and email receipts at the touch of a finger. Above all, however, the RAIL solution enables the customers to swipe their own card, retaining possession of it throughout the entire transaction, lessening the opportunity for card information theft. As Javelin Strategy & Research reports, Visa and PayPal currently top the list of consumers’ preferred mobile wallet providers at 15 percent and 13 percent respectively with mobile network operators Verizon and AT&T’s Isis and Apple close behind. Javelin’s study also suggests that as new mobile devices and technologies enter the market, demand for mobile payments and POS purchasing will intensify. Full-scale rollout of the RAIL payment platform is expected during the first quarter of 2013.